The Jose Marti Park in Union City, is a small, gated park named after the famous Cuban poet. It was once nicely decorated with a tile Cuban flag behind a bust of Jose Marti and lined portraits of famous Cubans. Now the tiles have been taken down and the small display has been weathered and barely recognizable. But it is still a gathering place for the older local Cuban men. A place to smoke cigars, play dominos, talk about family, memories and Cuba. These men came to America with nothing except an idea. They left their families, friends and the few things they owned for freedom. They came for a chance to work, earn and build a better life. Fidel Castro’s death in November shocked the Cubans of Union City. It was a day that brought, reflection and pain. Now after Castro’s death, many older Cuban-Americans are not expecting any liberation to come to the island. Born in the capital of Cuba, Havana, Andreu and his family left when he was eight years old in the 1960s, as Castro was gaining control of the government. Because his dad was taken as a political prisoner for working in the previous government, Andreu left Cuba with only his mom and his sister. Andreu and his family came with nothing and lived in poverty. They collected welfare until his mom was able to get a job at a factory to support the family. He learned what it meant to work and earn his own keep. After spending most of his life in the U.S., he’s disillusioned at the thought of a free Cuba. 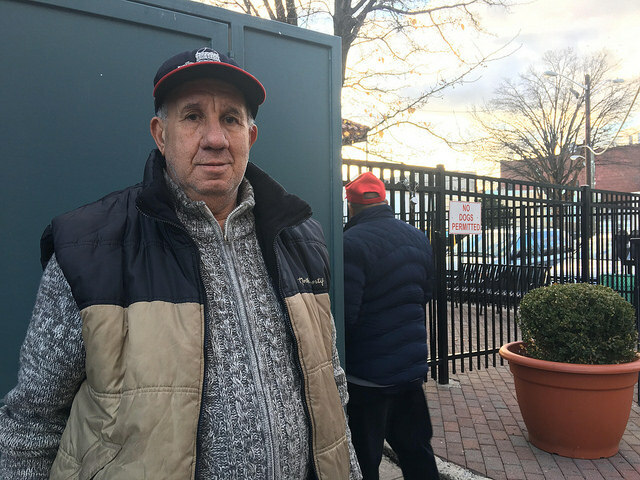 Miguel Alonso, 60, doesn’t believe Castro’s death meant anything for Cuba’s freedom. He said the hold of communism on the country is far greater than the one man. Alonso grew up in Havana, under Castro’s government. He left when he was 24, by himself. Alonso escaped through the port of Mariel on April 27, 1980. The port was opened temporarily and a large number of rafts and boats full of people entered the U.S. He said it was the quickest and easiest way to escape. Alonso immediately got to work in construction because that’s what he worked as in Cuba. He had the skills and the opportunity. He said while he grew up around communism, he still believed in democracy. Alonso also said that with Trump as president, he’s unsure where the future of Cuban-Americans are headed. 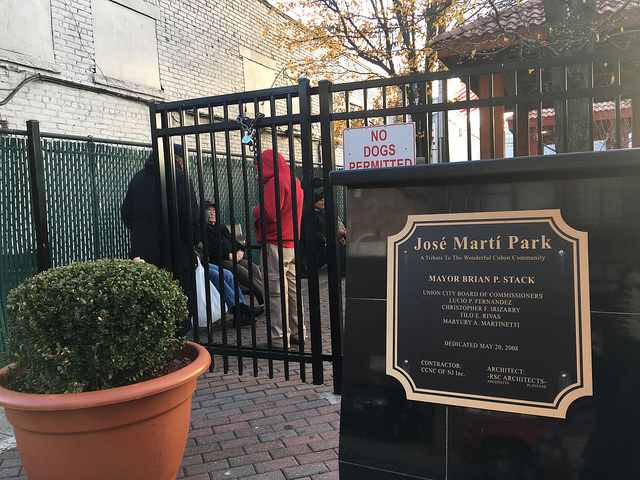 Francisco Guzman, 63, lit a cigar as he stood against the green fence of the park. Guzman grew up in Havana and he came to the U.S. when he was 26, after he sought asylum in the Peruvian embassy. Guzman immediately started working when he arrived to the U.S., working in a factory at first in Philadelphia. When he moved to Union City, he started working in agriculture. Guzman’s parents and his brother escaped Cuba, but his sister is still there. He said she will never leave so he helps her with as much as he can. “I send her clothes and I give her money so she can buy what she needs,” Guzman said. He said many Cubans who used to live in Union City have moved out to look for jobs and start their families. The ones who’ve stayed have been there for most of their lives. Rijo Alvarez from Pavement Pieces on Vimeo. 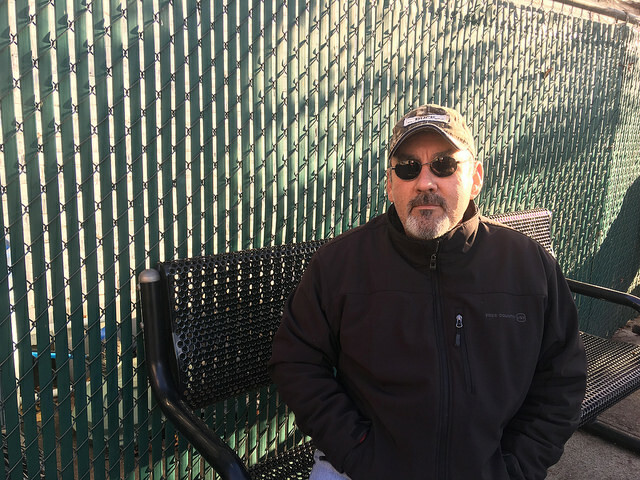 “The Capitalist goes wherever there’s a job,” said Rijo Alvarez, 50. Alvarez sat on one of the tables of the park with a cigar poised in his hand. He spoke casually about his life as though it was as common as an afternoon walk. He listed all the jobs he had from construction to electrical work. Alvarez moved from Cuba to New Jersey when he was 14. His father was a political prisoner, but was able to take his entire family and leave the island. He was one of the lucky ones. Alvarez’s parents started working immediately when they arrived and Alvarez was enrolled in school. Alvarez said Castro’s death didn’t faze him. He was American. For him, Castro has been dead for years. But he said that both the U.S. and Cuba would have to change.